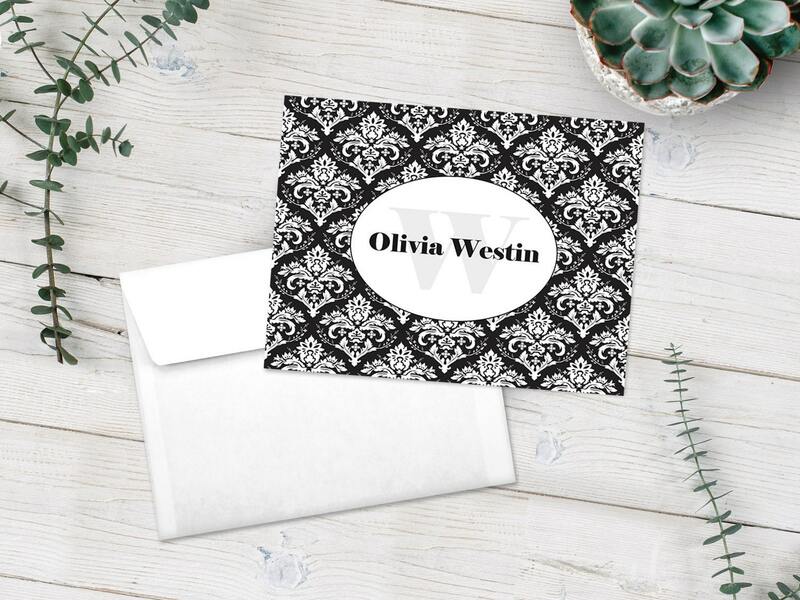 Beautiful, personalized note card set that is perfect to have around for any occasion. Use it as a "Thank You" card, a "Sympathy" card or just to say, "I'm thinking about you." These make a great gift for your best friend, that aunt you rarely see, but need something special for, or your hair stylist. These are ideal not only for close friends and family members, but for your neighbor or your child's teacher. Maybe you need a gift for someone special in your life for Mother's Day? These are perfect! While you're shopping, order a set for yourself. You'll love them! -Available in sets of 12, 24, 36, 52, 100. Please select amount in the drop down menu on the right. 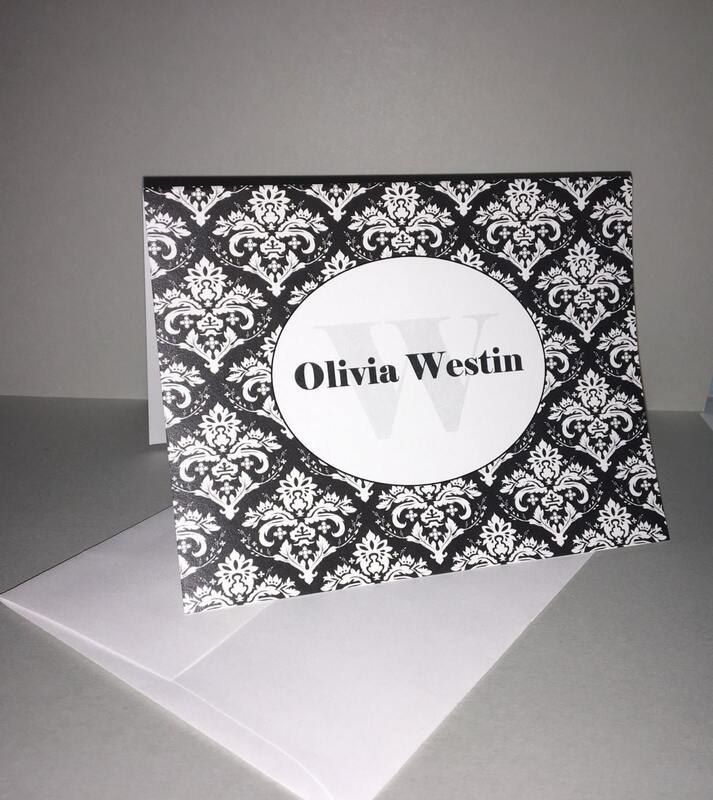 -These are 5.5" by 4.25" folded note cards. 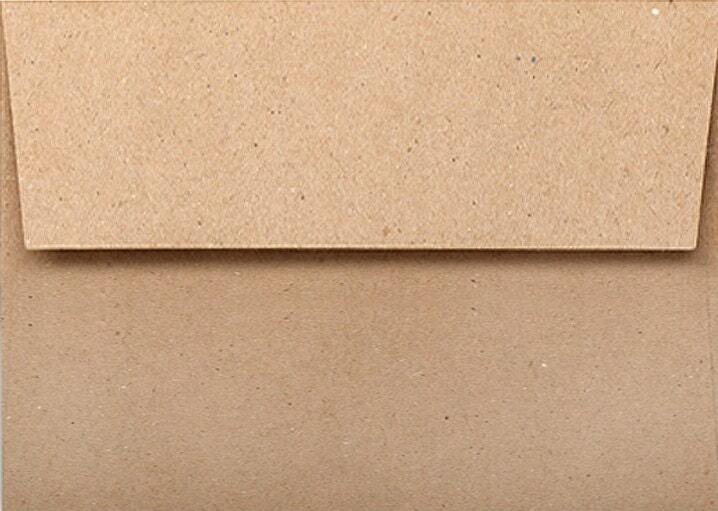 -We use 80-pound (FSC) card stock and archival ink. This stationery will be printed on our professional, industrial-size presses. 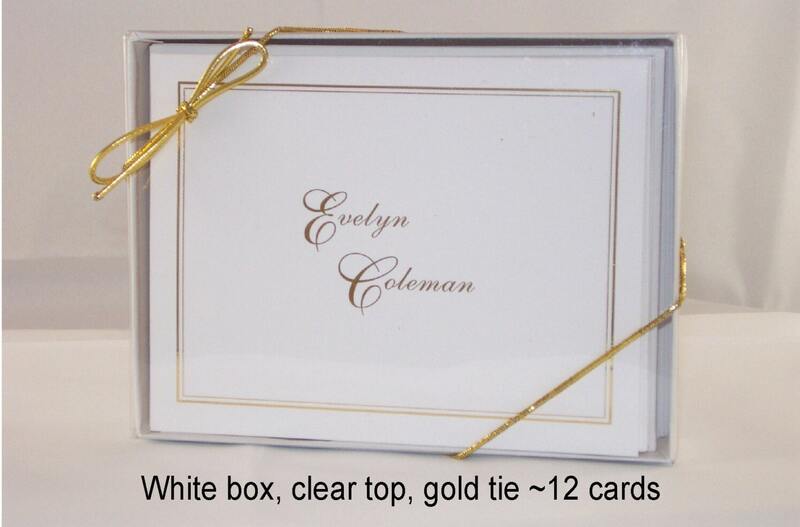 -You choose between a cellophane sleeve (included in price) or a gift box for a small fee. Please select your choice in the drop down menu on the right. 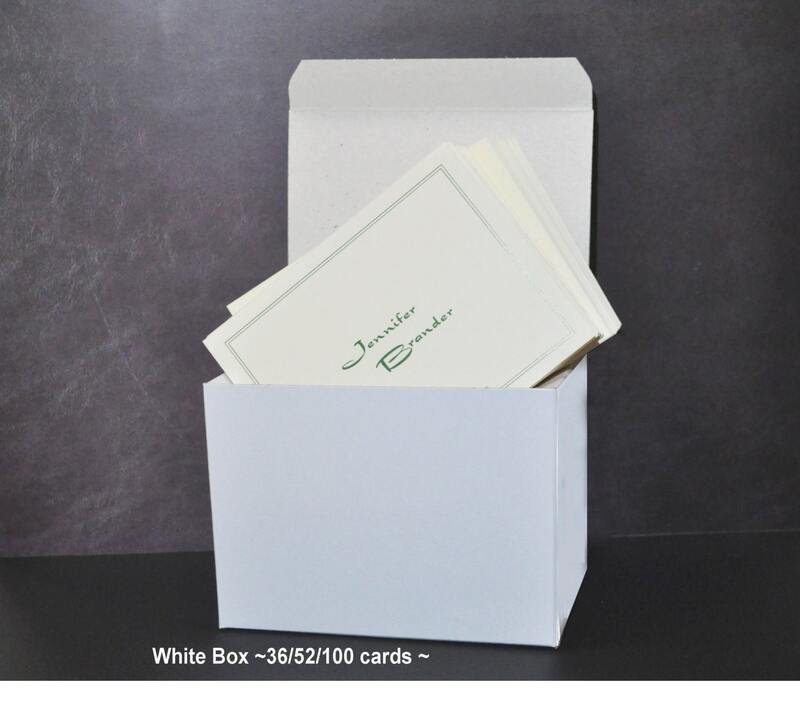 If you are ordering the 100-card set, your cards and envelopes will come in two of the large boxes (as shown in the photo). -Please provide the first and last name to be used in the "Notes to Seller." -Because our items are personalized, we cannot accept returns. Please carefully check your order before submitting it. However, if it is our mistake, we will correct the order free of charge. -Upon request, we will email you a low-resolution proof so you can double-check the spelling of the name and the color choice. -All you have to do is ask!! We will work with you. NOTE: Please note that because computer screens vary, the colors on your finished product may be slightly different than what you see on your screen.